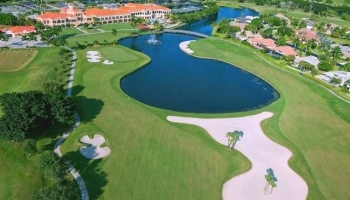 WELLINGTON, Fla. - Jon Curran of Jupiter, FL fired rounds of 63-65 to win 2019 Qualifying School Contest #3 at Wycliffe Golf & Country Club. After a course record 63 in the opening round, Curran was three shots clear of the field entering Sunday's final round. Evan Harmeling got it to -9 through 15 holes and -12 for the event and within three of leader Curran but that was the closest anyone would get to him. Curran birdied the final hole to make it a four shot margin of victory. 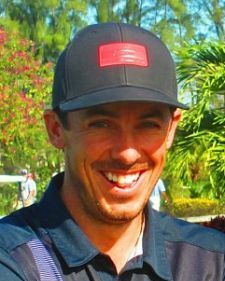 Congratulations Jon and good luck this year at Q-School. 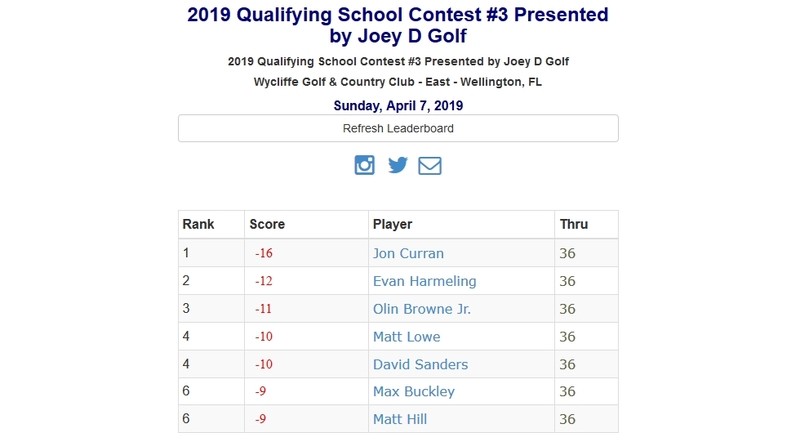 17 of the 43 players participated in the Qualifying School Contest presented by Joey D Golf creating a prize pool of $3,400. First place in the contest was guarenteed to be $5,000. 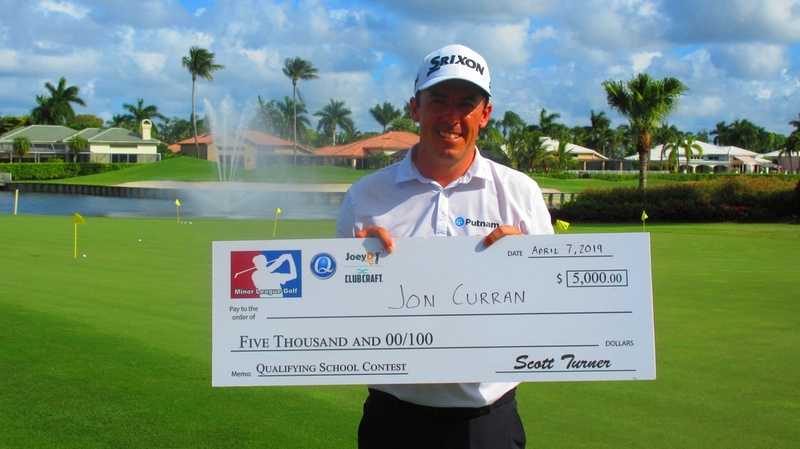 Curran can put that $5,000 towards the Q-School entry fee of his choice. Must be playing in Wycliffe 2-Day event to participate in the Contest. The player with the lowest 2-Day total score will receive $5,000 towards the Qualifying School of their choice. Winner will be reimbursed after beginning their first stage.